I have long admired Julio Cortazar as a short story writer, and have read a couple of his shorter novels (The Winners and Final Exam), as well as the non-fiction Autonauts of the Cosmoroute which was finally translated into English a few years ago. Hopscotch, however, though widely regarded as his masterpiece, was the one that I never got around to, even when I eventually acquired a copy two years ago. Of course, it is almost six hundred pages long and possesses a rather intimidating structure that immediately presents the reader with a choice. We can either read linearly from chapter one to 56, ignoring the remaining “expendable” chapters “with a clean conscience”, or we can ‘hopscotch’ around the novel following Cortazar’s instructions, beginning at chapter 73 then moving on to 1,2 116,3,84…and so on. Obviously, having set out to challenge my reading habits, I opted for the latter approach. Then novel is traditional enough to have a central character, Horacio Oliveira, an Argentinian writer who we first meet living in Paris with his lover La Maga and socialising with a group of self-consciously intellectual bohemians. La Maga’s young child dies and La Maga disappears; Horacio returns to Buenos Aires where he is met by an old friend known as Traveler and his wife Talita. He works with them at a circus and then an asylum, gradually seeming to lose his mind before finally threatening suicide. The “expendable chapters” sometimes add to this story or provide background (for example Horacio’s relationship with a previous lover, Pola), but often contain seemingly unrelated stories, quotations, extracts from a book a character is reading, and statements attributed to a writer, Morelli, who features briefly in the main narrative. The first effect I found this had on my reading was that I never knew where I was in the novel: that is, measured from beginning to end (a journey which still exists, though not represented by the novel’s pagination) I had no idea how far I had come or how far I had to go. Also, the physical act of moving back and forward through the book was so counter-intuitive that it did go some way to convey the directionless meanderings of Horacio’s life. The novel also moves freely between first and third person. The first two chapters are written, in modernist tradition, from the consciousness of the struggling artist, but chapter 3 begins: “Horacio Oliveira was sitting on the bed smoking his third insomniac cigarette.” This means that when we return to the first person we cannot be certain that it is Horacio’s voice we hear – chapter 7 is a good example, where one lover addresses another. Perhaps the tour de force in terms of narrative style is chapter 34 where a line from a novel Horacio is reading alternates with a line of his thoughts. Danger rating: I would liken this to climbing a mountain, but that would only be accurate if the route was the most circuitous, involving frequent descents, and never quite reaching the peak. Hopscotch doesn’t seem to be currently in print. I read the award-winning translation by Gregory Rabassa in an American edition. 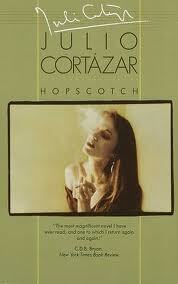 An excellent selection of Cortazar’s stories, Bestiary, was published by Harvill in 1998 but is also out of print. Individual collections are, however, available. Worse is yet to come for anyone hoping to lose themselves in the story as “you” soon discover that the book has been incorrectly bound and that the first few pages of the novel are repeated throughout. In fact, the only continuing story is that of the search for the next chapter, as each time the reader thinks he has found this it turns out to be the beginning of yet another narrative. It also, of course, allows Calvino to demonstrate his versatility as he skips from genre to genre, nationality to nationality. Meanwhile, between beginnings, he explores the process of a book’s creation as we visit a bookshop, a publisher, a university, and, finally, a writer. If this part of the novel is now the weakest it is probably because it is the most dated and its satirical intent is therefore less obvious. The diary of Silas Flannery (the writer), with its sly parodies of Borges, remains amusing, but the interrupted narratives are generally preferable to the continuing one. 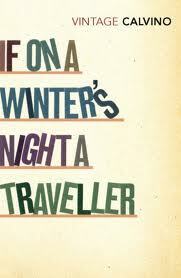 If taken in the playful and light-hearted manner intended (which is not to say that the it is not serious), If on a winter’s night a traveller is an entertaining and charming novel, but it does not quite live up to its billing as one of the most important books of the post-war period, or even as Calvino’s best book. Danger rating: It’s a little like that Candid Camera trick where you get in a lift, the lift moves, but when the doors open you’re on the same floor: the main danger is that you share the frustration of the “reader”. However, if you take Calvino’s advice and “relax” you’ll have little to fear. we are aware he is making crackers out of crepe paper. Similarly, we can reconstruct conversations as in each section we only get the spoken words of that character. self. It is terrible. The movement agonises me. As Johnson intended, the final narrative proves the House Mother, as the representative of the ‘normal’ world to be by far the least normal. Indeed, the final scene, which has largely been only vaguely indicated by expressions such as, “What a disgusting spectacle!” and, “Oh filth, utter filth!” may shock some readers even today. However, it’s Johnson’s portrayal of old age that remains the most affecting. Danger rating: About as dangerous as taking a sip of tea without checking the temperature first. 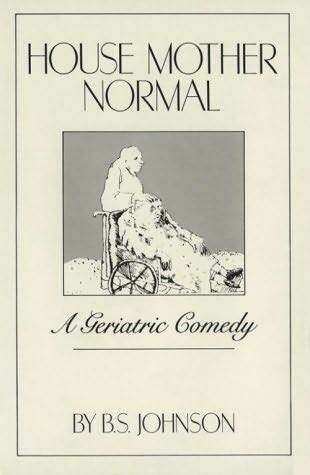 House Mother Normal is not difficult to read, despite some work needed to match up the different narratives. It is available in an omnibus edition of Johnson’s work along with Trawl and Albert Angelo published by Picador. However, astonishingly, some of Johnson’s other novels remain out of print. Franzen uses these models as a basis to tackle the issue of difficulty. To simplify, he argues that in the Status model difficulty is seen as a good thing and that novels are celebrated for little more than being difficult; and in the Contract model difficulty is, conversely, a bad thing as it will simply cause readers to abandon the book. (I mention Franzen deliberately because when reading Freedom I couldn’t help but think to myself – if this is such a great novel, why is it so easy to read? This is exactly the attitude he deplores – and one might argue he goes out of his way to disguise the complexities of his own work). Reading, however, is a learned process, during which we constantly change as reader, and a text that might prove ‘disagreeable’ at one point might later be loved. (Similarly, we may look back on books we once enjoyed and find them shallow and uninvolving). Franzen’s position also suggests the underlying Anglo-American fear of seeming pretentious, an anti-intellectualism that is prevalent in both cultures. (The only reason an English writer would have been unlikely to have written this essay is the topic would not even be regarded as worth debating). Franzen’s biggest error, however, is in focusing on enjoyment and pleasure. The best play I saw last year was undoubtedly Tim Crouch’s The Author. If you don’t know the play, it begins without a stage, only an audience, from which characters gradually reveal themselves. In other words, it does the kind of things that experimental writers do. 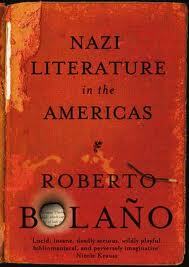 I found it unsettling and thought-provoking, but I would not use the word enjoyable to describe the experience. Yes, just as Franzen notes the ‘difficult’ novels left uncompleted by readers, so too there were members of the audience who left (prompted by audience member planted by Crouch!) But just as their reaction was extreme, so was the reaction of those who stayed more profound. 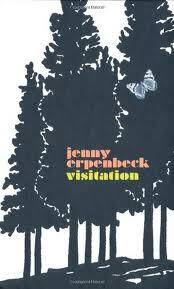 Over the next year I’m going to explore the world of experimental fiction. Some of the writers will be well known, and others more obscure. Hopefully some new names will surface. While I intend to read many of the ‘classic’ experimental novels, I have no intention of attempting to be exhaustive. I will also try to include newly published or reissued books as appropriate. Any suggestions are welcome. At times it will be difficult, but – who knows? – I might enjoy it. You are currently browsing the 1streading's Blog blog archives for January, 2011.